Kimberley Smith was an active child, filling every spare moment of her time with a multitude of sports, including gymnastics, netball, and athletics. Her talent for athletics was first spotted when she was ten or eleven and, in a cross-country event, she was noticed keeping up with boys of her own age. Her parents decided to take her to the local Papakura Harrier club as her uncles were involved in long distance running and triathlons. Smith enjoyed the environment and made a number of good friendships. This time was made even more enjoyable as she was part of several very successful teams despite only “playing with training” at the time. Smith’s twin brother displayed some academic potential and moved to the prestigious Kings College in Auckland. The athletics coach there (Perry Cunningham) had noticed Smith’s ability and offered her the opportunity to attend as well. She spent two years at Kings College and trained under the guidance of Cunningham. He was a very encouraging coach and he and Smith remain in contact even now, although she spends most of her time in the United States. Smith received a number of offers for Athletics Scholarships from the US at the end of her time at Kings College. She decided to take up a scholarship at McNeese State as she knew two other New Zealand athletes (Sita Waru and Karen Lockyer) who were studying there. Unfortunately the set-up didn’t suit Smith and she decided to return to New Zealand after one year. Once back in New Zealand, Smith decided to attend Teachers Training College as well as run. She found it very difficult to manage the demands of her student workload with a part-time job, training, and travelling to athletics competitions. Despite these demands, Smith continued to improve, and Providence College called. In mid 2002, Smith decided to commit to giving athletics her best shot and she took up an athletics scholarship to Providence College in Rhode Island, NY, under the coaching of Irishman Ray Treacy. Her progress was impressive to say the least. In her first year at Providence (2003) she took 16secs off her 3000m personal best and reduced her 5000m personal best from 16:30 to 15:47, which gave her the belief that she could foot it with the best in the NCAA (American collegiate system). Into the cross country season and Smith continued her improvement which culminated with a 2nd place individual effort and 3rd place team finish in the 2003 NCAA Division One Cross Country Championships. Further improvements were to follow in 2004. A solid indoor season saw her record new personal best times over 3000m and 5000m (8:49.18i and 15:14.18i in winning both events at the NCAA Division One Indoor Championships). She also stamped her selection for the Athens Olympic Games with a 15.09.72 clocking over 5000m to finish 2nd to Shalene Flanagan (by 0.05secs) at the Mt Sac Relays. Smith also comfortably won the 5000m at the NCAA Division One Outdoor Championships. The Olympics are a much bigger deal than the NCAAs - as Smith was to find out. She finished a disappointed 11th in her heat of the 5000m at Athens, and left with a desire to improve on that performance in the next Olympics. Not one to linger over disappointments, Smith was soon back in action for Providence College. She was in fine form again during the 2004 Cross Country season. To cap off her short but highly successful NCAA career, Smith won the 2004 NCAA Division One Cross Country individual title and led her team to another 3rd place team finish. 2005 was her first year running for Reebok after she was signed to an athletics contract. Smith continued her improvements, taking another chunk off her 5000m PB indoors, to 14:50.46i, a New Zealand record. Then, to confirm her undoubted ability over cross country she finished 12th in the World Cross Country Championships in St-Etienne/St-Galmier. Outdoors, she set another New Zealand record, this time over 10,000m in 31:21.00 at the Cardinal Invite. At the World Championships, in Helsinki, where she had qualified in both events, Smith decided to run the 10,000m and finished a respectable 15th. 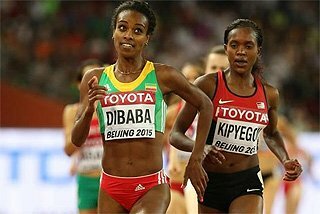 She was also committed to running at the World University Games, in Izmir, and against very little opposition had little trouble in winning the 5000m. 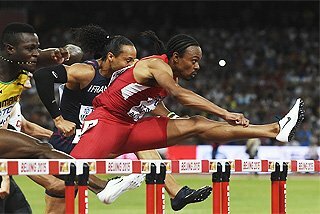 A long competition cycle finished with 7th place in the World Athletics Final, in Monaco. 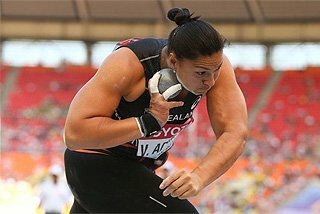 Smith returned home to New Zealand in early 2006 with the Commonwealth Games, in Melbourne in March, on her mind. Her performances in 2004 and 2005 suggested that she would have a good chance of winning or medalling. 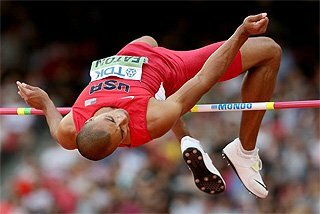 However, she competed in the National championships in Christchurch (as she thought was required by tough high performance director Eric Hollingsworth) despite having some Achilles issues in the weeks leading up to the championships. Towards the end of the race she tore her Achilles and hobbled to the finish, winning but with her dreams of Commonwealth Games participation in tatters. There was more bad news for Smith. She got a blood clot on her lung and she was advised not to fly back to her base in the US. She remained in New Zealand for several additional weeks before she was allowed to return. She was required to use blood thinning medication for some time. After some recovery time, she slowly eased back into training, and only six months after the injury she was back on the track in Europe, running another national record over 5000m on 25 August in Brussels (14:56.58) and placing 4th in the World Cup in Athens three weeks later. “I was really surprised at how quickly I recovered from what were two pretty serious problems,” Smith said. 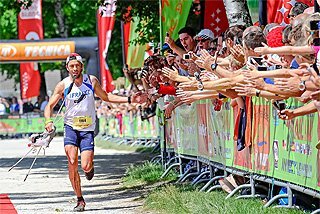 “To get back racing near to my previous bests was fantastic”. Smith took a giant step up against elite competition in 2007 with two National and Oceania records over 3000m. She also locked horns with Meseret Defar (first vs third indoors in Boston, 8:30.31 to 8:38.14) and Tirunesh Dibaba (first vs second outdoors) and also finished second in the Rome Golden League event, her first podium place in such elite company. Competing at the Payton Jordan Invite she set another National record over 10,000m lowering her own mark to 31:20.63 The World Championships in Osaka provided a fitting end to the 2007 season for Smith with a well deserved 5th place in the 10,000m. 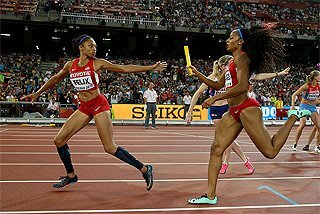 In preparation for the 2008 Beijing Olympics, Smith spent the indoor season working on her speed. This resulted in National and Oceania indoor records in the Mile and Two Miles set in less than a fortnight. On 26 January, at the Boston Indoor Games, she first clocked 9:13.94 over Two Miles in the race where Defar claimed the world best over the distance (9:10.50) and then followed up with a 4:24.14 win over the indoor Mile on 8 February. A month later, at the World Indoor Championships in Valencia, Smith took sixth place in the 3000m in her first participation in the indoor event. Returning to the track in Stanford, where she has had a huge amount of success in the past, at the Payton Jordan Invite, she took more than half a minute off her personal best time (31:20.63 to 30:35.54) – another National and Oceania record Smith raced more sparingly in Europe in 2008 with fourth place finishes at the Rome Golden League (where she set another national and Oceania record in 14:45.93) and the DN Galan meet in Stockholm. Smith has mentioned several times a hankering for the road “I do a lot of my training on the road and it really seems to suit me,” she said. 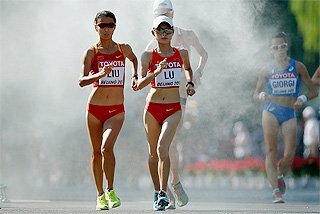 After the Olympics, she accepted an invitation to compete in the ING New York City Marathon. With the history of two New Zealanders winning (Rod Dixon, Allison Roe) it seemed like a good choice. However, it was not to be the exciting debut predicted by many. In a cruel blow to her chances, Smith picked up a minor illness in the week leading up to the event. Smith is a tough cookie though and decided to still run. 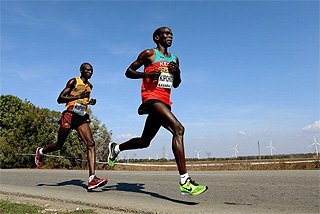 She was forced to withdraw after approximately 20miles, as Paula Radcliffe completed a remarkable comeback to win after failure at the Olympics three months before. 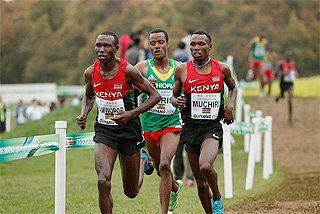 Smith’s initial focus for 2009 is to produce a creditable performance in the World Cross Country Championships in Amman. 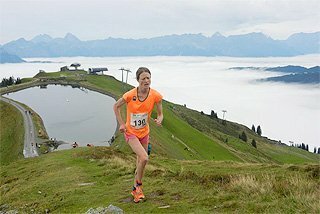 “I was training with World Cross in mind,” she said. “I did a really pleasing workout so thought I would run a 5000m just to see where I was at.” At the Fasttrack Invitational meeting, Smith produced something special. 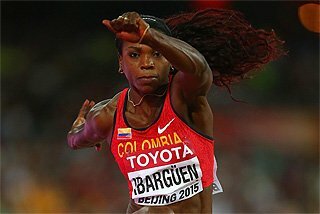 She ran the fourth fastest time ever recorded indoors (14:39.89), having to go around many of the other competitors several times. This time is also faster than her best recorded mark outdoors. 10.000m: 2004 –33:45.81; 2005 – 31:21.00; 2006 – ; 2007 – 31:20.63; 2008 – 30:35.54. Prepared by Murray Taylor for the IAAF ‘Focus on Athletes’ project. 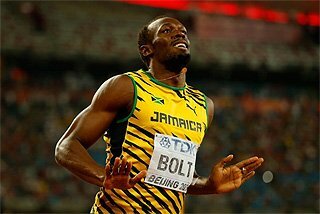 © IAAF 2008-2009.